Can Dogs Eat Ginger for an Upset Stomach? Does your dog experience nausea or upset stomach? Many times nausea can lead to vomiting and diarrhea, which can be messy and worrisome. Unfortunately upset stomachs are a common ailment amongst dogs but there are many possible solutions to ease or eliminate nausea. Some solutions are prescribed while others are natural. Natural treatments are typically less expensive and can be a good option. They save you time and eliminate a doctor’s visit. 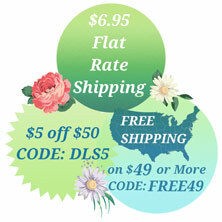 They also save you the cost of expensive prescription medicines. Please remember to always consult with your vet before treating your dog. So, the question is can dogs eat ginger? 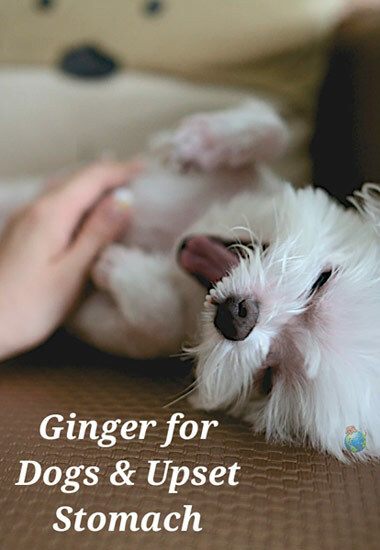 Well, ginger for dogs is commonly known to sooth upset stomachs and it is believed to be safe for dogs. It can ease bloating too because it aids digestion by stimulating the digestive system. Along with easing belly issues, ginger is known to have anti-inflammatory properties which can prevent cancer and soothe arthritic pains. Ginger is also said to have calming effects on your dog. This idea is similar to why ginger is worked into many night time teas. Ginger comes in many forms which most commonly include raw ginger, ground ginger, and capsules. These three forms are the easiest to incorporate into your dog’s diet. Raw ginger can be grated into dog food, baked into dog biscuits, and infused into your dog’s water. Ground ginger, which is in powder form, can be put into anything you can imagine because of its versatility. You could even try gentle dabbing some powdered ginger directly onto your dog’s tongue. Don’t do too much because you don’t want your dog to inhale it or start coughing because of its powdered texture. A dab will do just fine! Capsules of ginger can be hidden in a dog treat. Too much of a good thing can be a bad thing. Similar to humans consuming ginger, too much can cause indigestion and heartburn in dogs. Ginger naturally has a spicy kick to it, which can be overpowering on sensitive tummies so you will want to be cautious of the amount you use. Many dog owners ask us “How much ginger can I give my dog?” The amount of ginger to feed your dog all depends on the size of your dog. Take a look below at this chart created by the Ottawa Valley Dog Whisperer. Not all dogs will like the taste of ginger so they may not drink their water if you try infusing it but it is worth a try. The easiest way to trick your dog into eating ginger is in dog treats. Below you can try out this quick and easy recipe from Gingerbread Dog Biscuits! Preheat the oven to 325 degrees. Lightly grease a cookie sheet. In a large bowl, mix together the flour, ginger, and cinnamon. Mix in the oil, molasses, and 1/2 cup water; let sit for 15 minutes. On a lightly floured surface, roll out the dough 1/4-inch thick. Cut out the cookies with cookie cutters. Transfer to the prepared sheet. Bake about 20 minutes until firm.